Doumbrey is a household favorite. 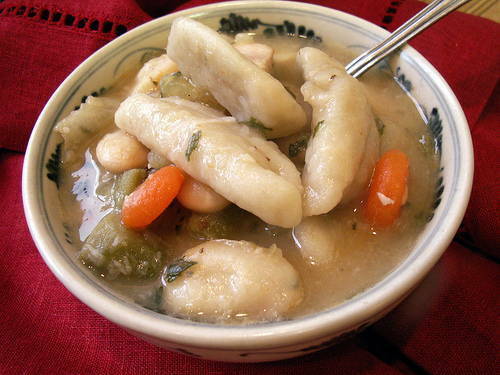 It’s a soft dough dumpling that is made with flour and typically added to rice and pea soup, bouillon, or mais moulin. In a mixing bowl, sift all-purpose flour, seasoning salt, and pepper together. Add some water to form a stiff dough. Using your hands, roll a piece of the dough into a 5 inch rope. Add more flour to avoid stickiness. Bring a pot of water to boil. Add the dumplings to the boiled water and let cook for 5 mins.